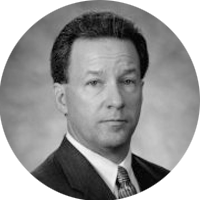 Lyle provides vision, insight and leadership for the design and implementation of customer relationship strategies to include physician marketing and communications, referral development, patient access and employer focused initiatives. With over 20 years of experience at one of the top cancer centers in the country, he has the experience required to help you advance your strategies in physician relations and business development. Lyle has developed collaborative relationships, delivers information and education regarding the strategic importance of organizational relationships with community physicians and other patient referral sources. He provides subject matter expertise and consultation for process, system and operational improvement efforts aimed at enhancing patient / physician access and clinical communications. Lyle is experienced in physician relationship management from a community oncology, academic medical center, as well as local/national/international perspectives.